"""""YOU MUST SCAN YOUR PASS UPON ENTRY AND EXIT""""" IN-and-OUT parking as you please during your stay. Winter Park Drive is manned during winter months with a traffic hut. A valid parking pass or a reservation must be shown to the hut attendant. 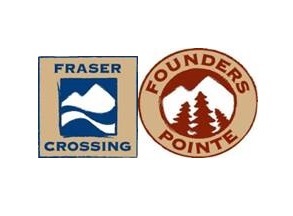 Once through the traffic hut, Fraser Crossing / Founders Pointe is on your right. To ENTER the parking garage Scan the QR code from your reservation at the flashing barcode reader, and the entry door will open. To EXIT Scan the QR code from your reservation at the flashing barcode reader, and the exit door will open. YOU MUST SCAN THE QR CODE UPON ENTERING & EXITING THE PARKING GARAGE "EVEN IF THE DOOR IS OPEN", failure to do so may result in additional fees. For best scanning, hold your QR code steady about 1” from the scanner. This pre-purchased credential is good for the dates and times as listed above. Any overstay related to parking is subject to additional fees. Cancellations must be received 24 hours before the "start time". To cancel, email your cancellation request along with your receipt to fgradiska@nwprk.com. If you are experiencing difficulties or problems PLEASE CALL NATIONWIDE PARKING @ 800-291-8237 24/7/365.